Tax Deal Faces First Vote; What Should Congress Do? : The Two-Way The Senate this afternoon is expected to hold the first in a series of votes on the tax deal agreed to last week by President Obama and Republican leaders in Congress. Should the agreement get the OK from Congress? Tax Deal Faces First Vote; What Should Congress Do? The Senate this afternoon is expected to hold the first in a series of votes on the tax deal agreed to last week by President Obama and Republican leaders in Congress. As The Washington Post writes this morning, "the latest tallies by party leaders suggest that the Obama-GOP package will clear the Senate with relative ease, Senate Majority Whip Richard J. Durbin, D-IL, told CNN's State of the Union on Sunday." In the House, where Democrats hold the majority for another three weeks or so, there has been some vocal opposition from members of the president's own party -- who even went so far as to say they would not allow the agreement to be brought to a vote in their chamber. But Rep. Chris Van Hollen, D-MD, said Sunday that "we're not talking about blocking the whole thing." The shorthand summary of the agreement. as the AP writes, goes something like this: "The legislation would avert a Jan. 1 increase in income taxes for nearly all Americans, including middle and high earners. The package also would renew a program of jobless benefits for the long-term unemployed and put in place a one-year cut in Social Security taxes." 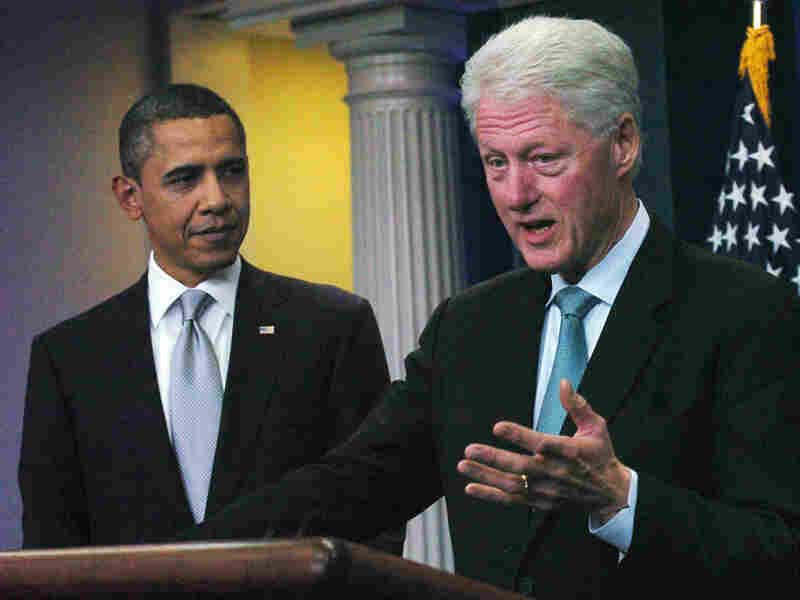 President Obama on Friday brought in one of his party's heavy hitters -- former President Clinton -- to make a strong pitch for the tax deal. From what you've heard and read about it, what do you think? Update at 2:10 p.m. ET: Our question is not a scientific survey. The pollsters at Pew are now out with their first national opinion poll on the tax deal, and it shows strong bipartisan support for the agreement.